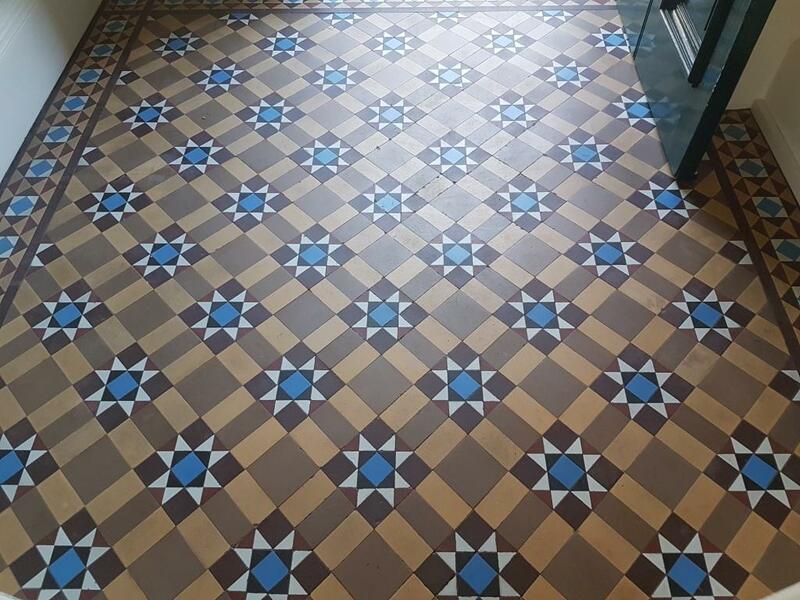 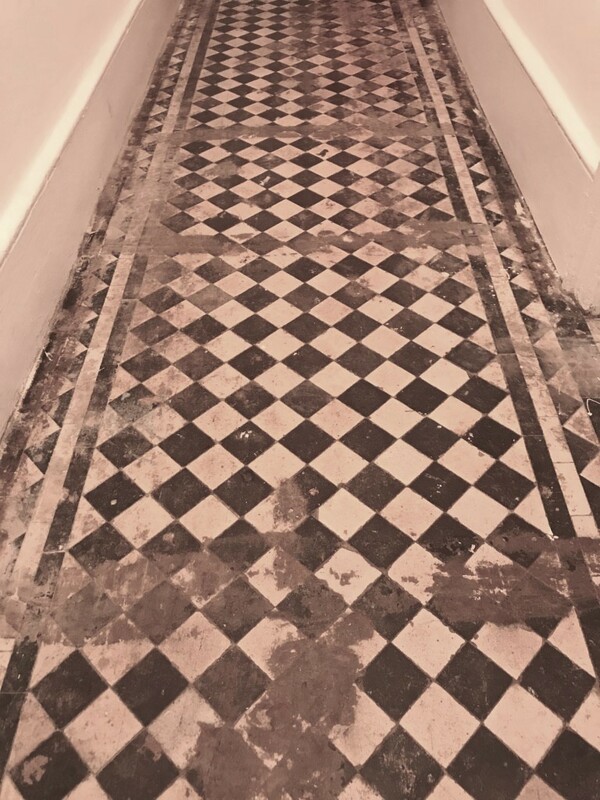 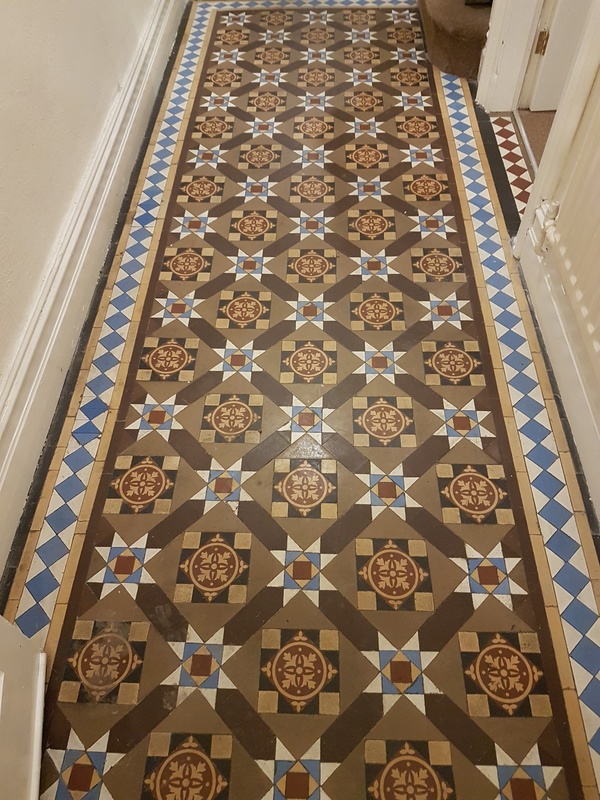 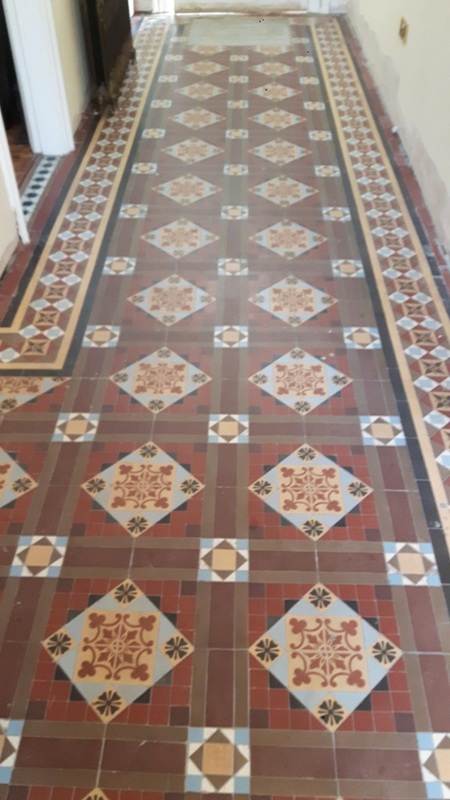 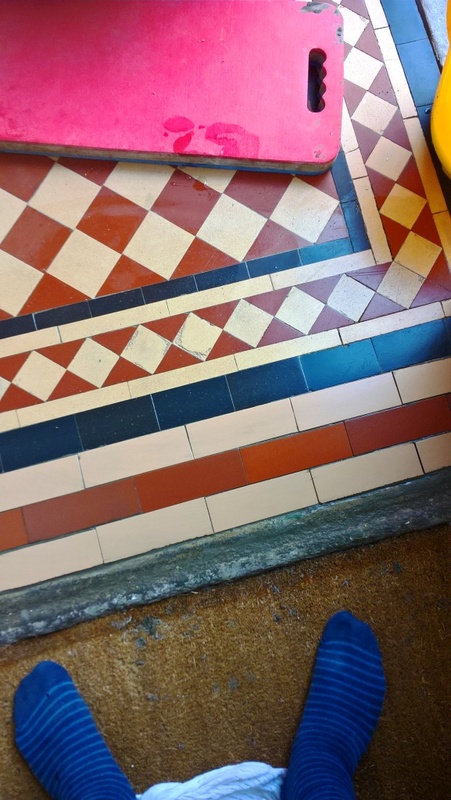 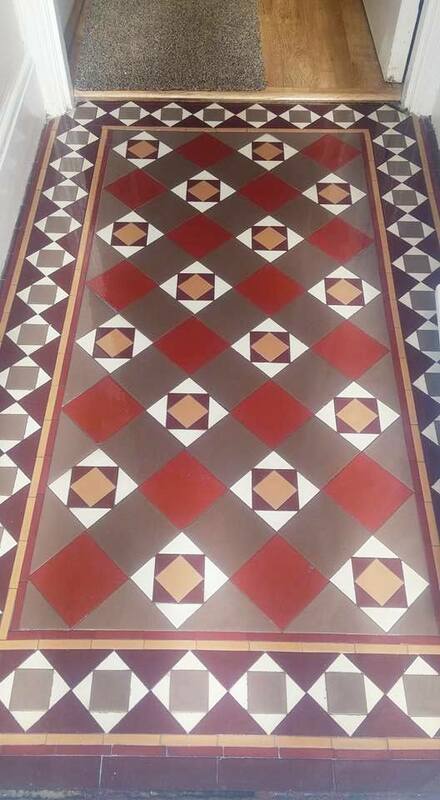 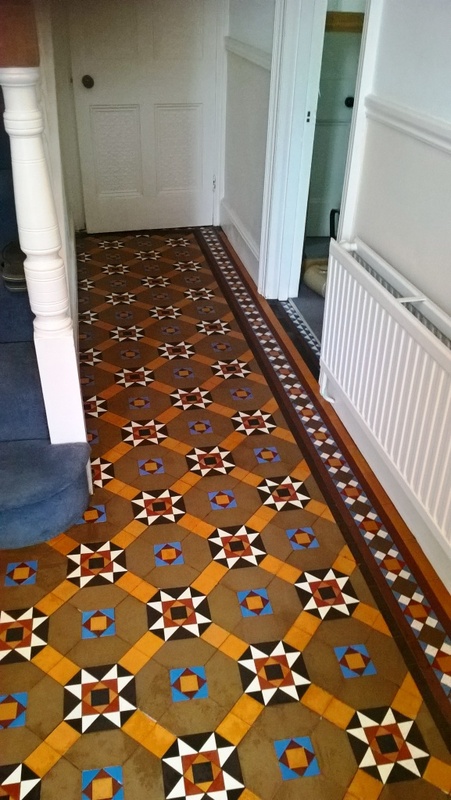 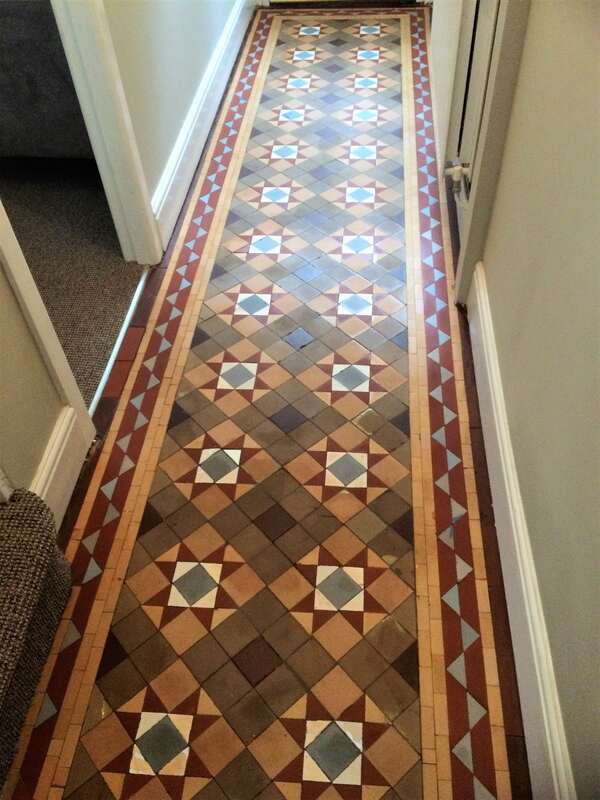 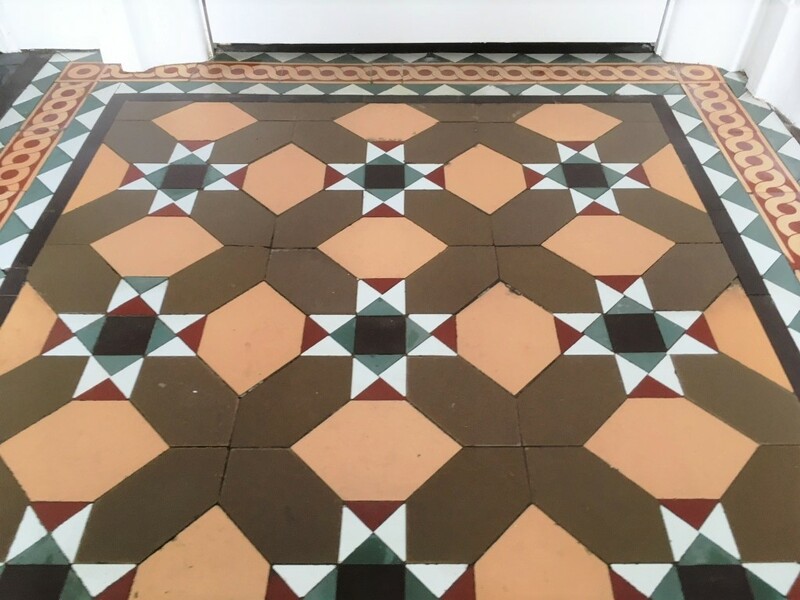 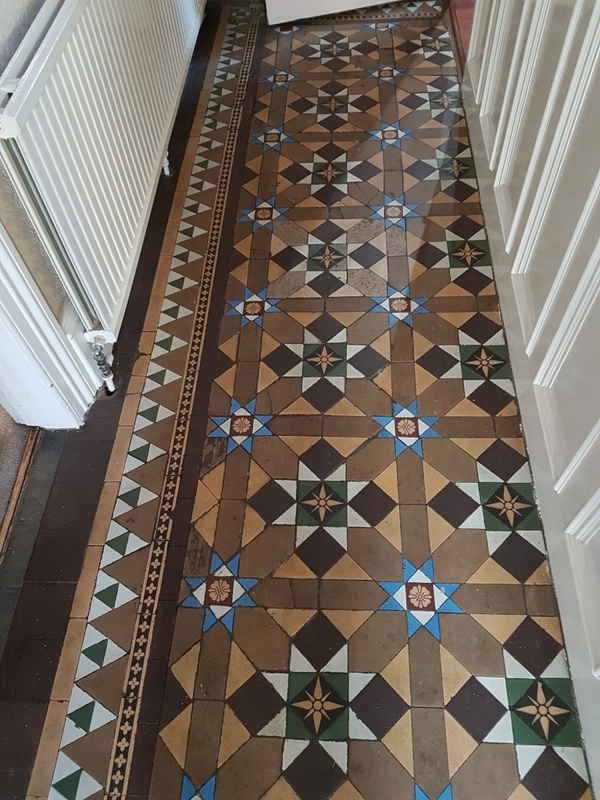 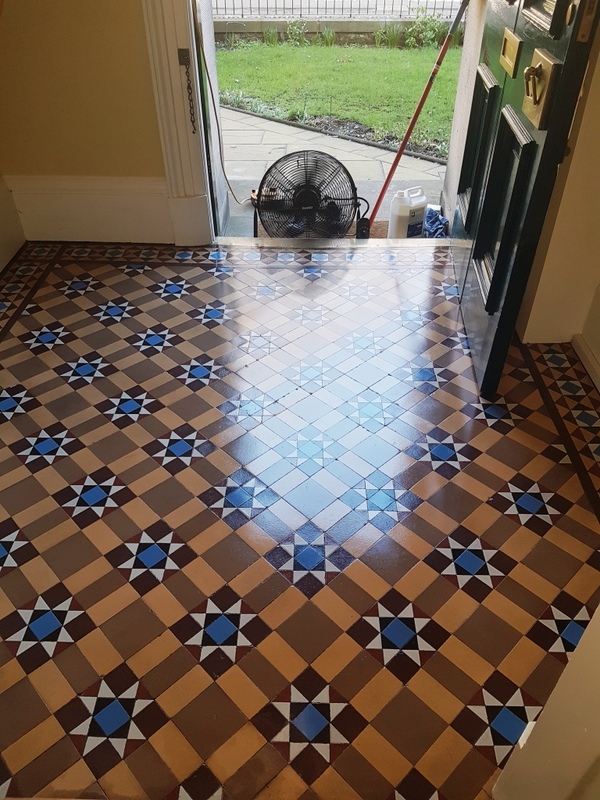 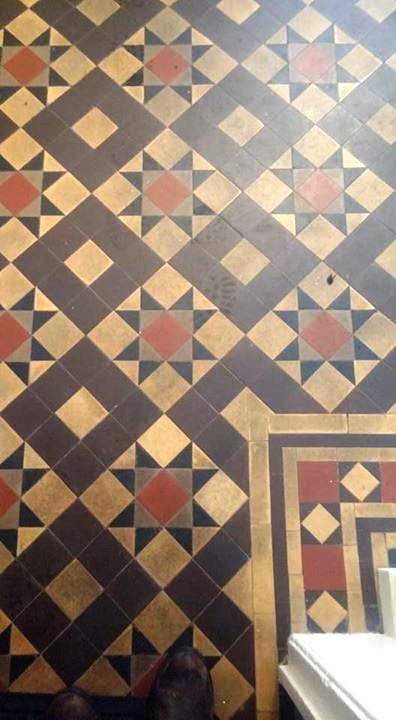 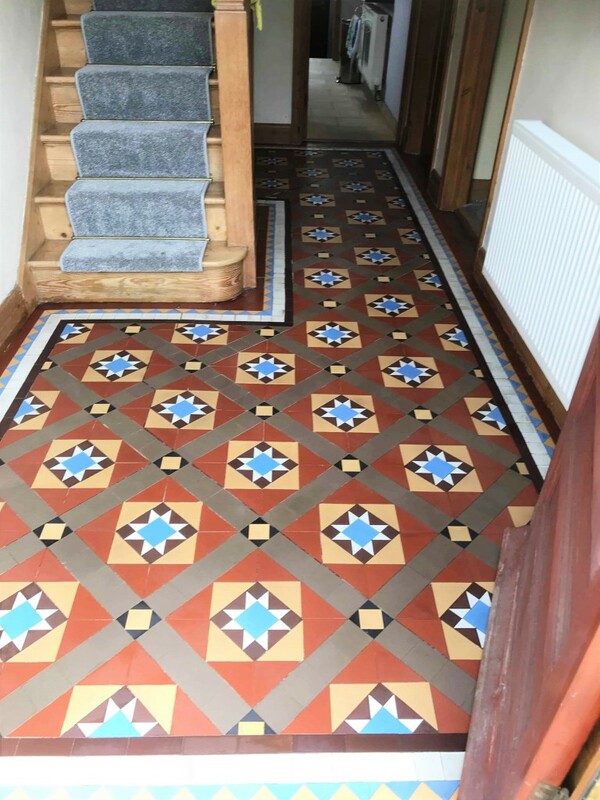 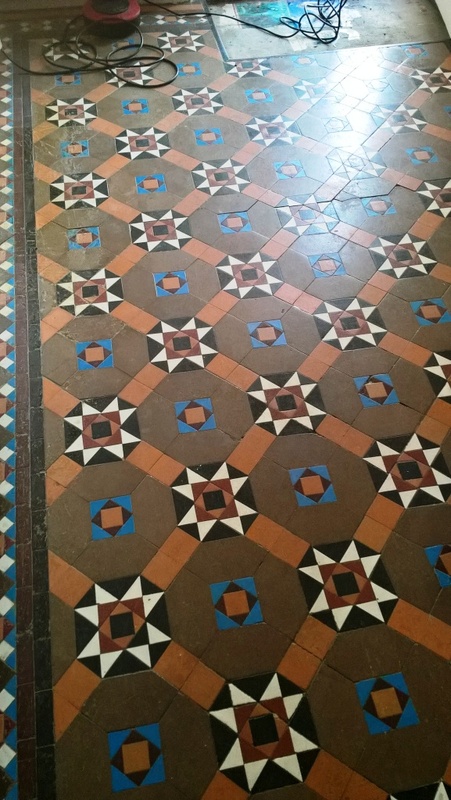 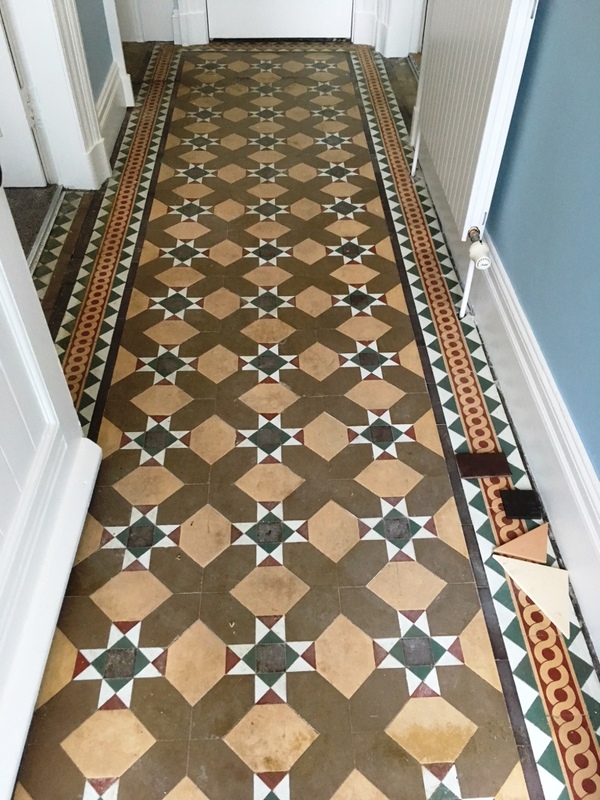 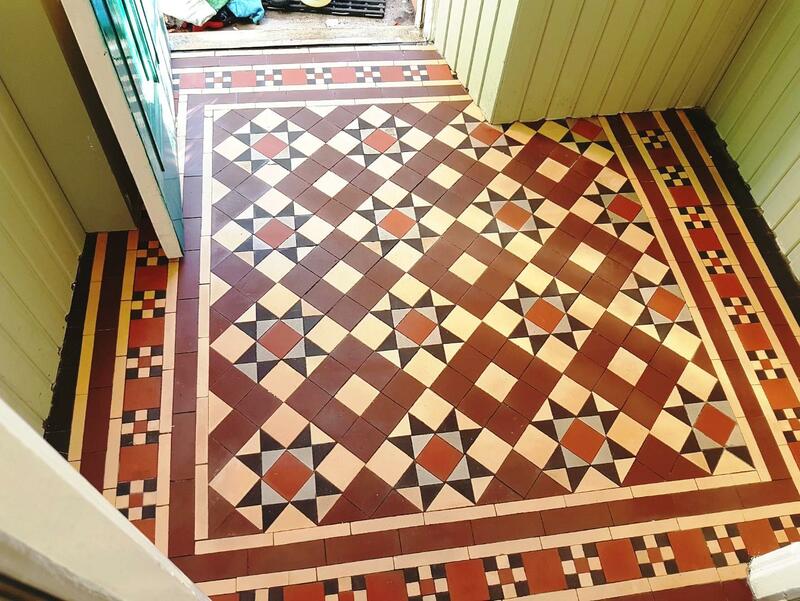 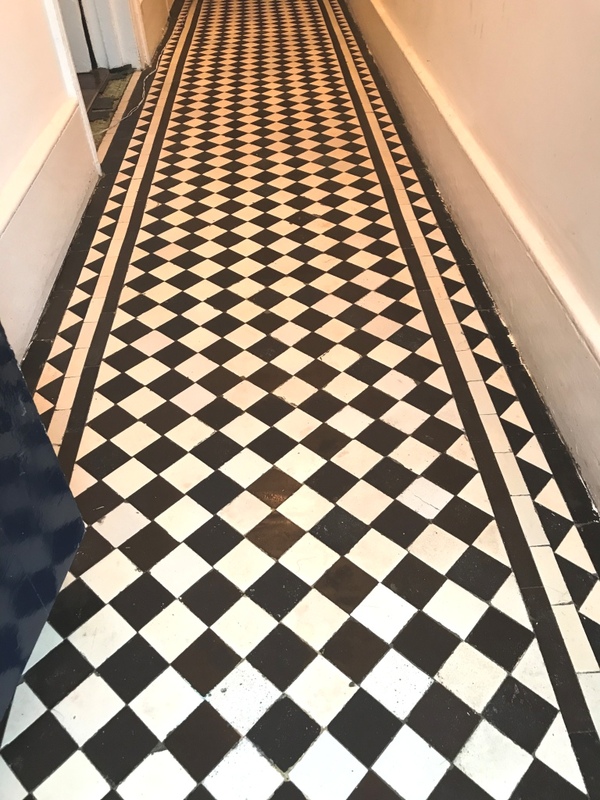 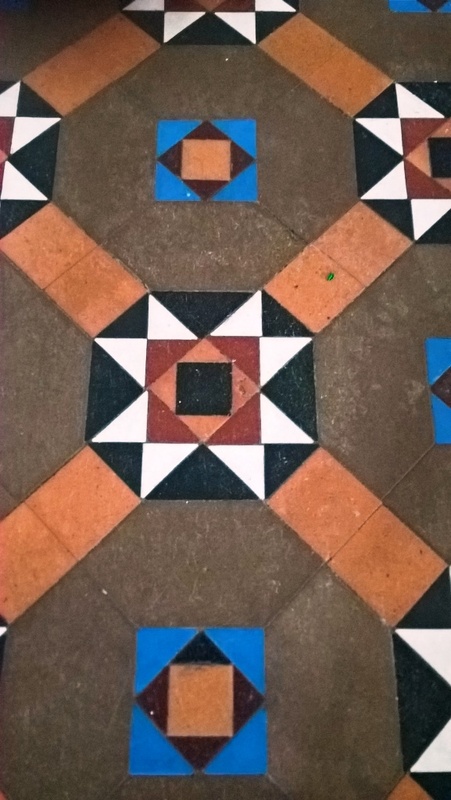 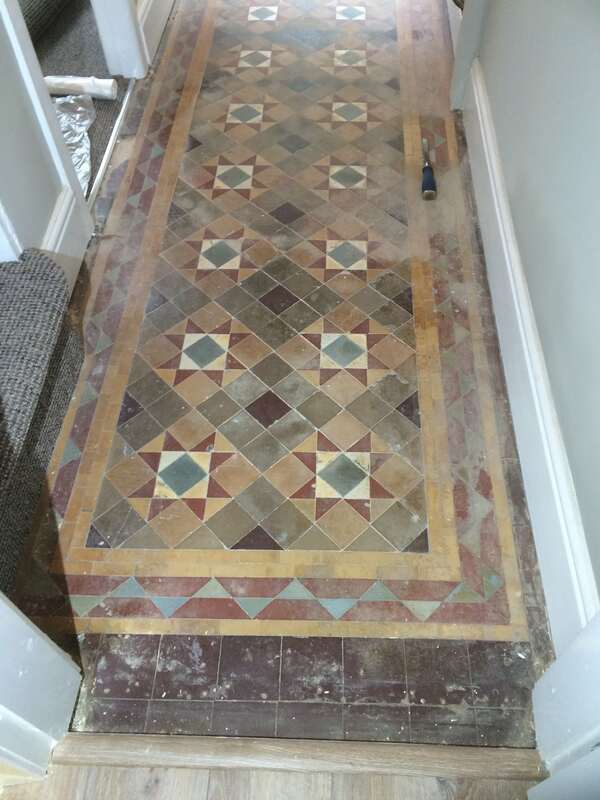 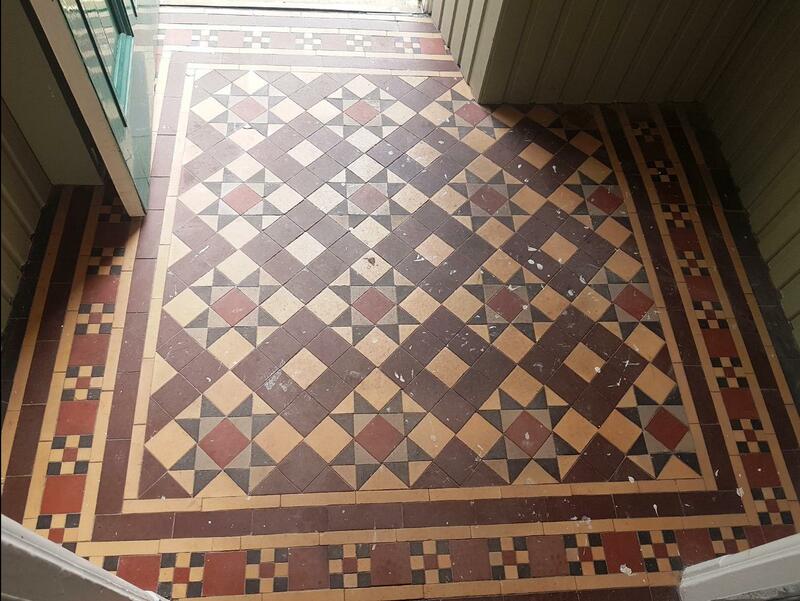 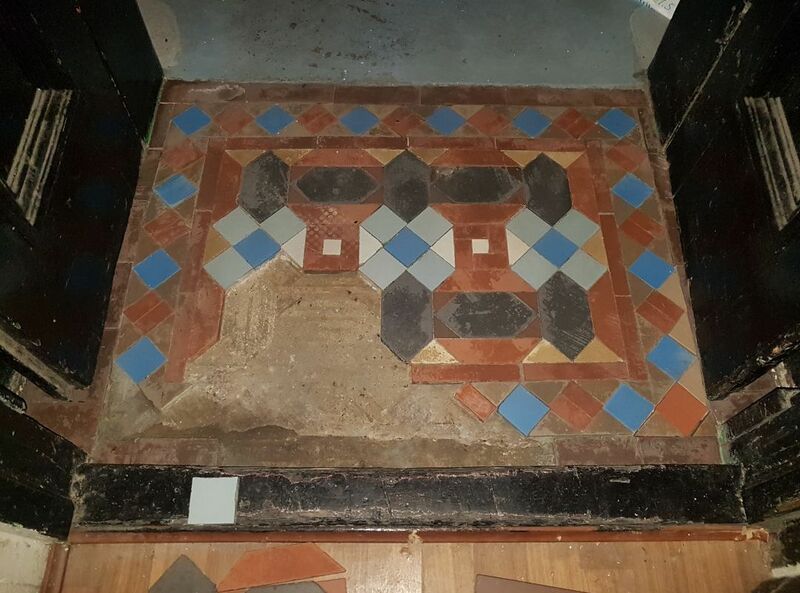 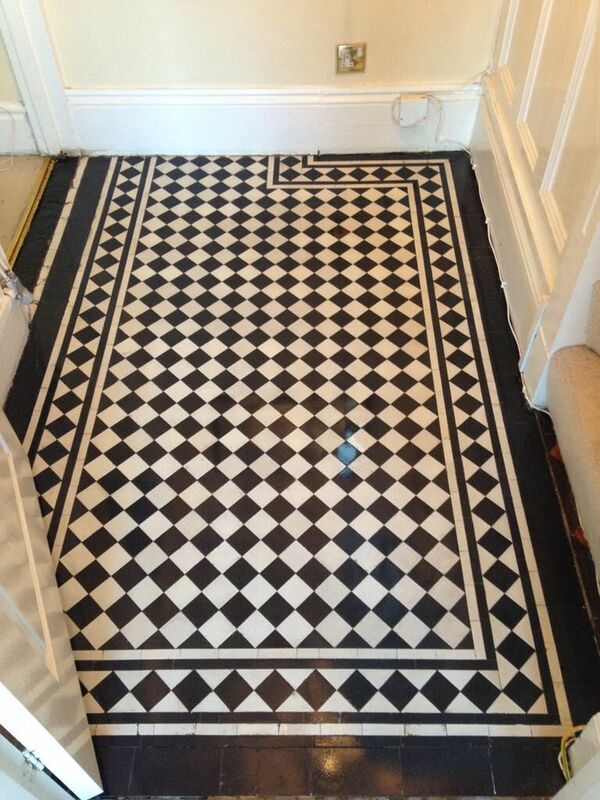 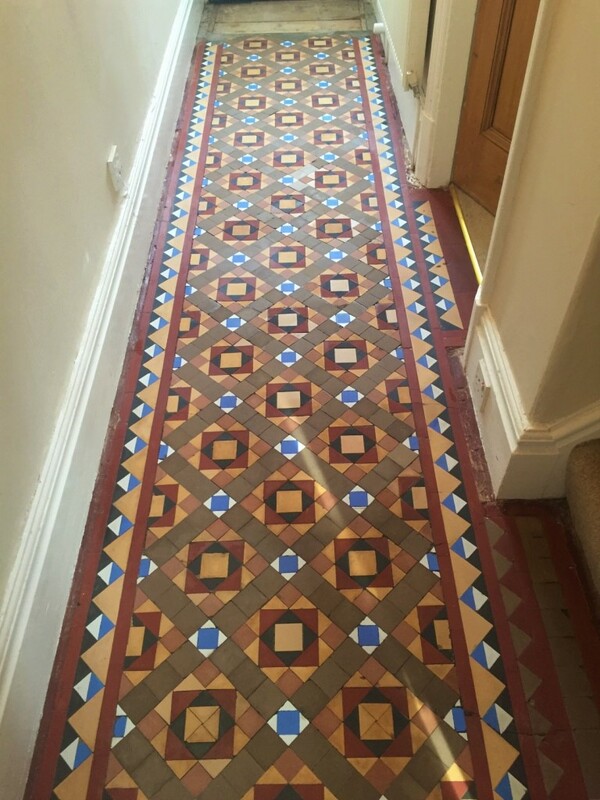 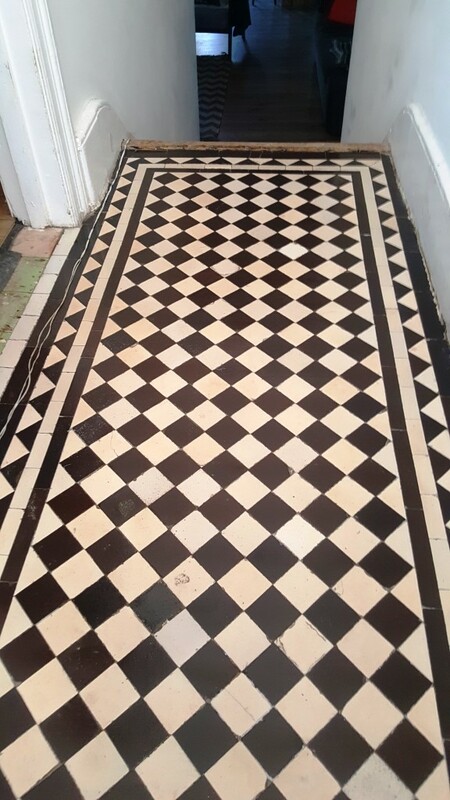 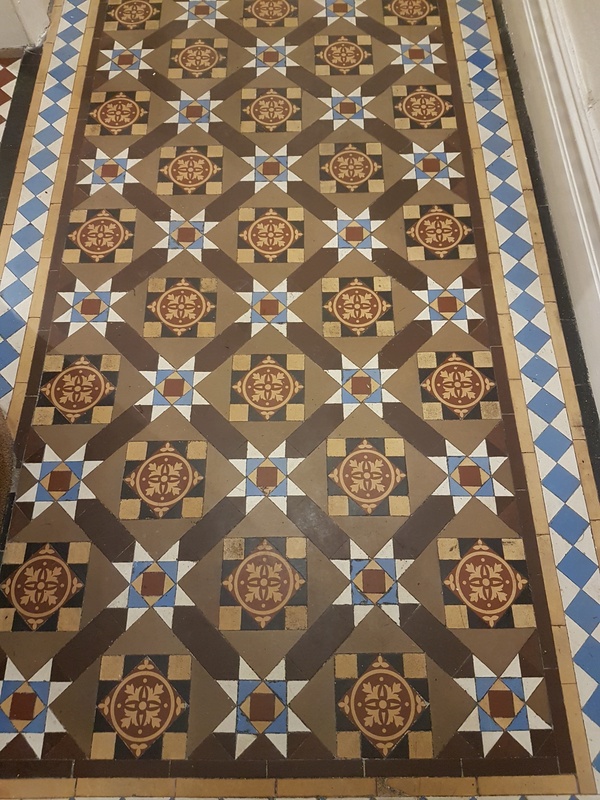 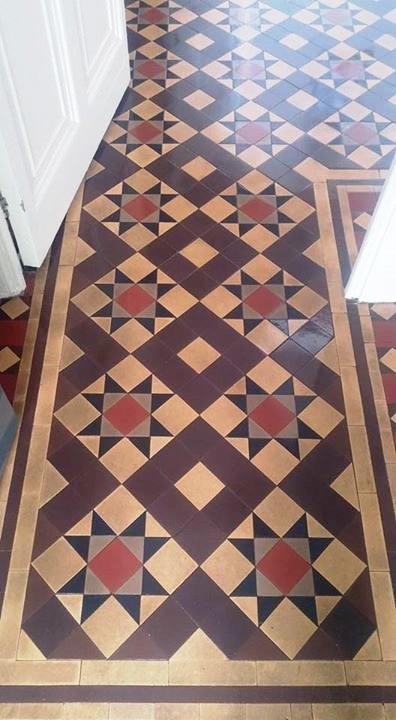 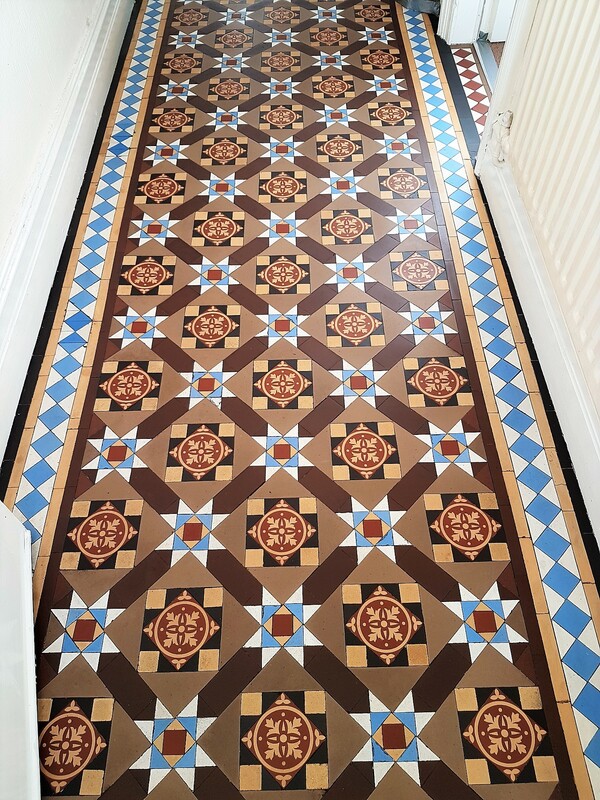 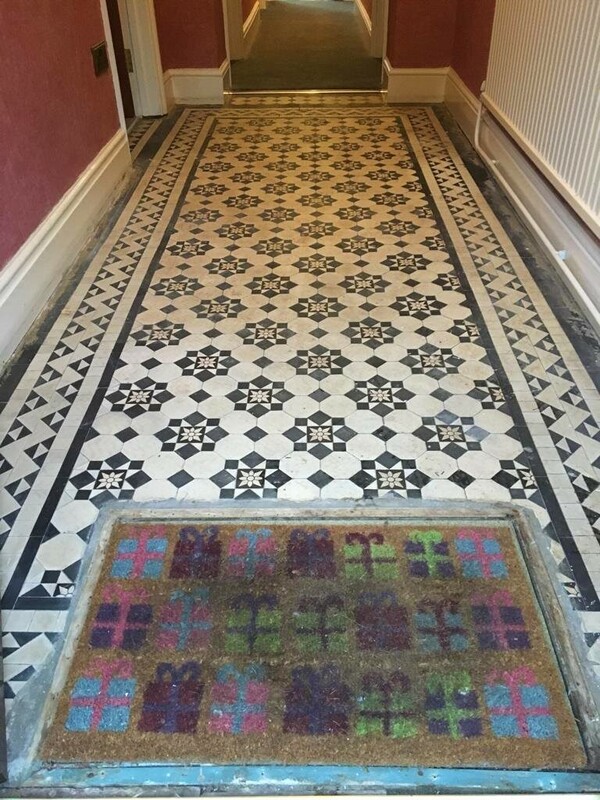 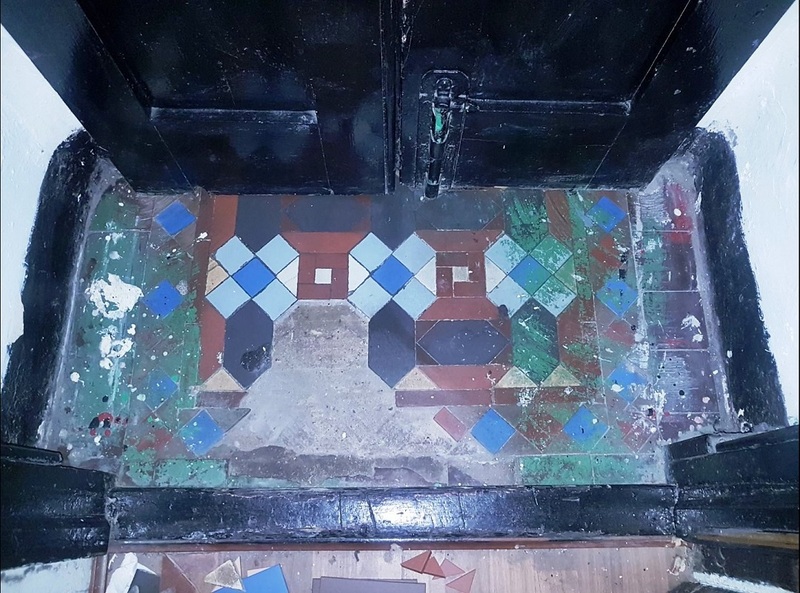 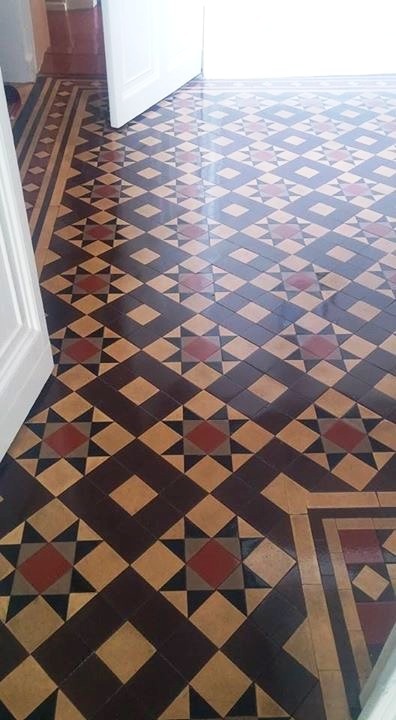 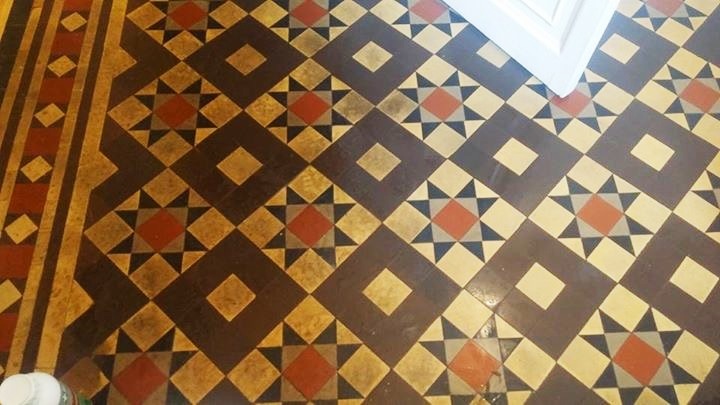 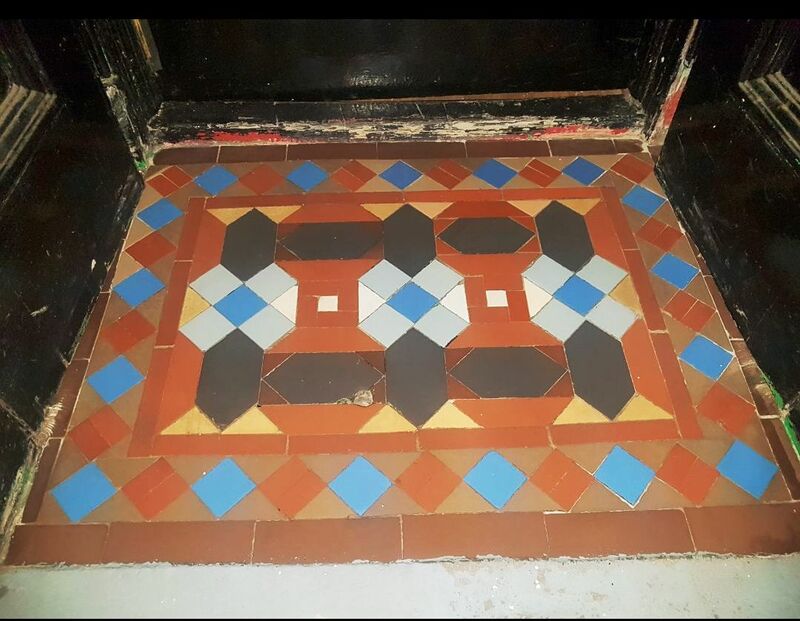 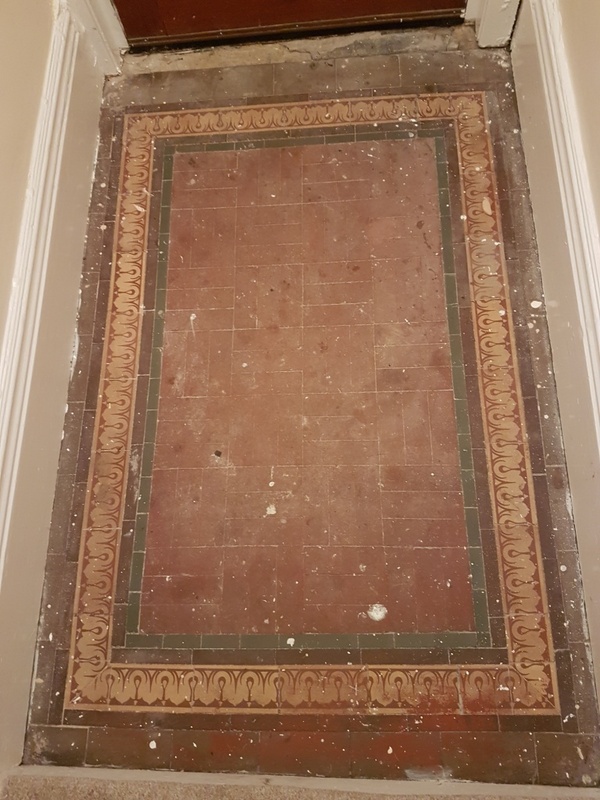 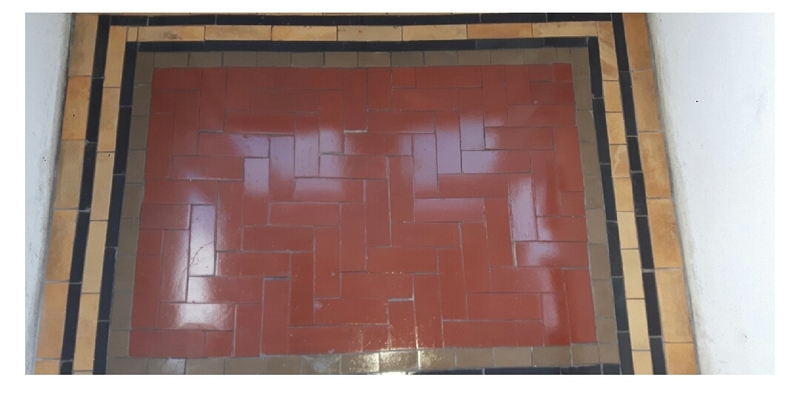 The owner of this property had been intending to have her Victorian tiled vestibule professionally cleaned and sealed for several years but had always seemed to just ‘make do’ with an occasional clean with a mop and bucket. 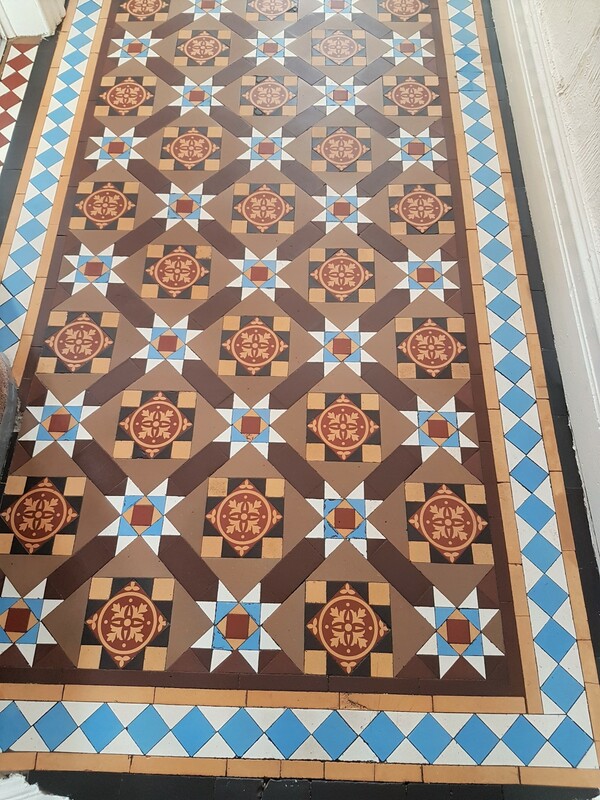 Having made up her mind to have it professionally cleaned and having seen previous examples of my work online after searching for her local stone and tile cleaning professional she asked me to come and have a look and see what I could do. 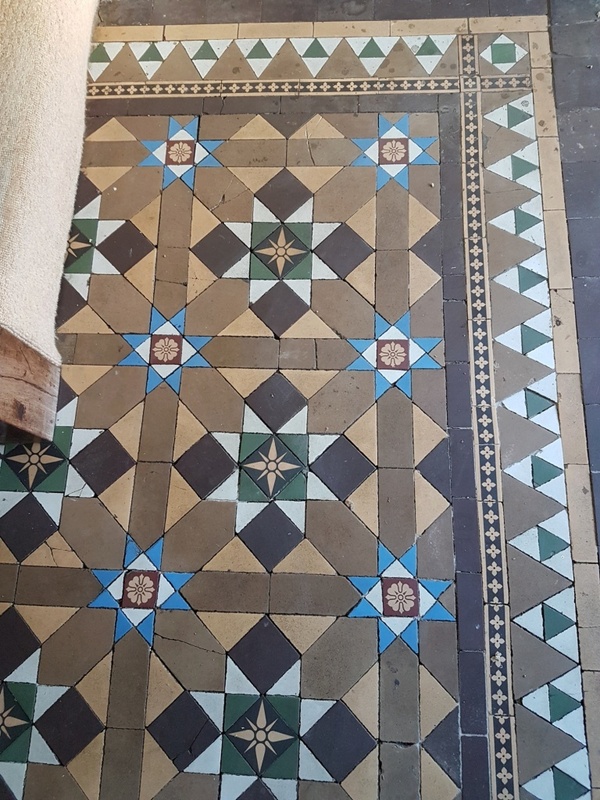 Being the first stop upon entering the house the tiles were heavily soiled after years of not being sealed so after I conducted a moisture check which showed the tiles to be remarkably dry. 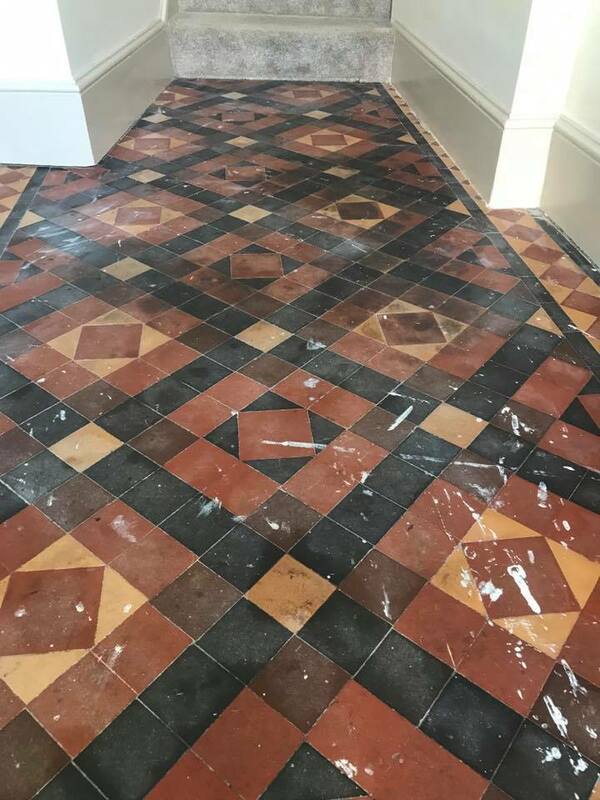 I cleaned a few tiles using some diamond hand pads to test the area and give the customer an idea of what kind of result to expect. 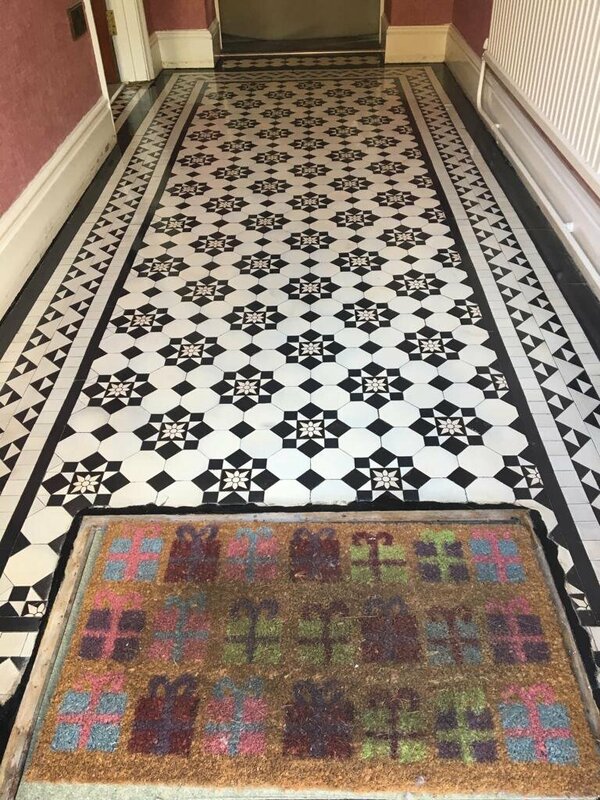 She was really pleased with the initial outcome of the test and booked me in to return shortly after receiving my quote. 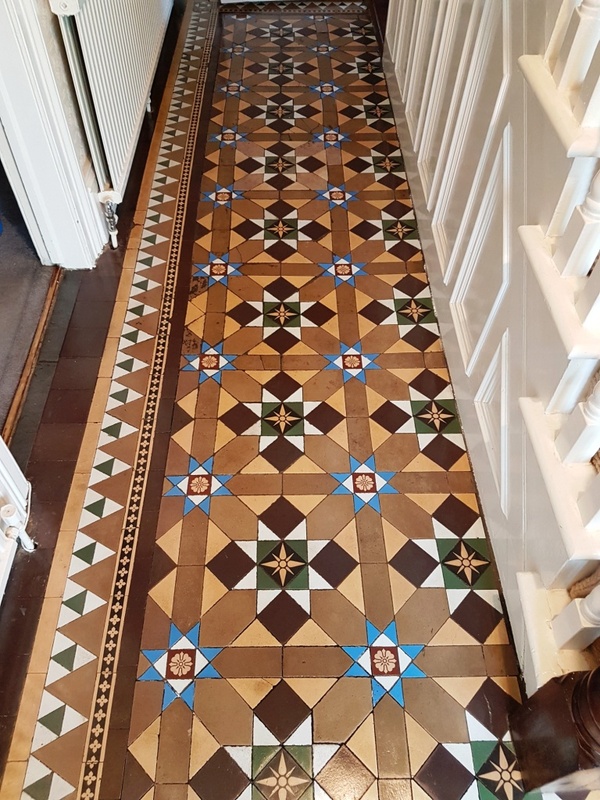 Because the area was small I was able to tie it in with another job I had in the Exmouth area and was able to reduce the cost of the quote. 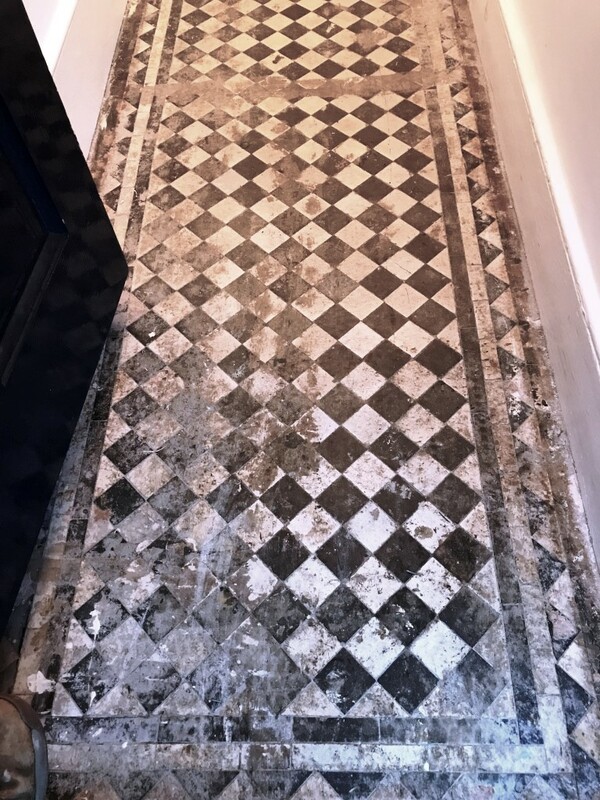 This is a great option if you and your neighbour both have small areas to clean because I may be able to work on them concurrently which will save you both money! 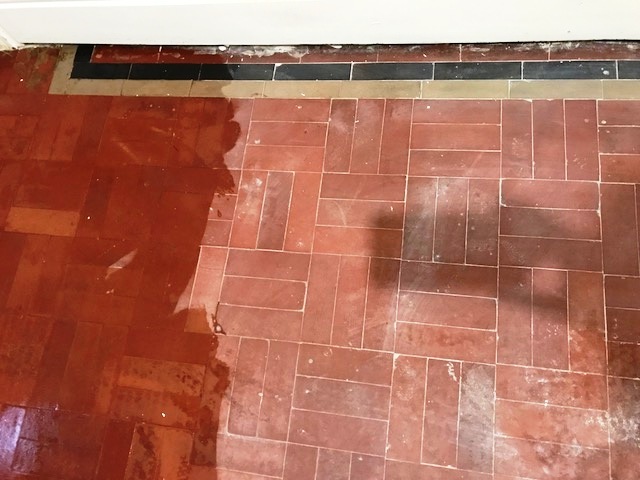 The working area was quite tight, so the tiles were scrubbed using a series of diamond impregnated six-inch burnishing pads fitted to a rotary hand tool. 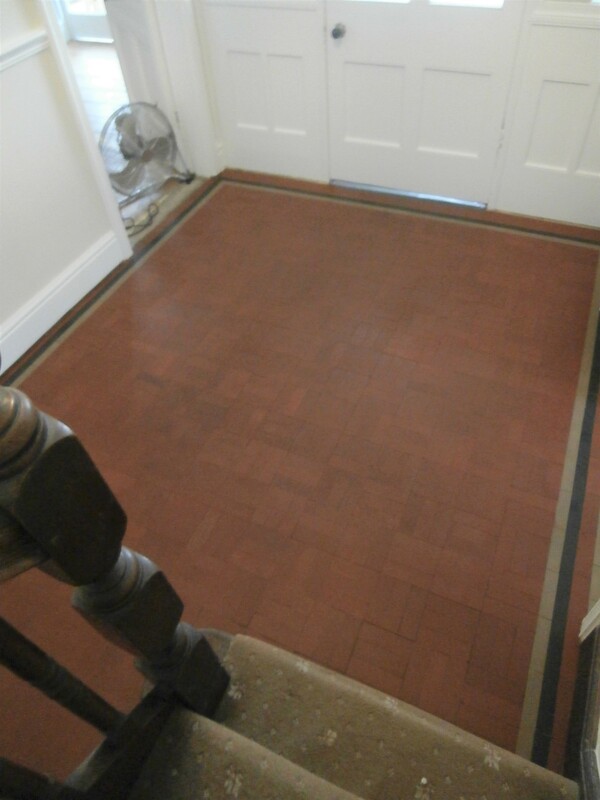 The pads are used in sequence starting with a 100-grit and finishing with a 400-grit pad. 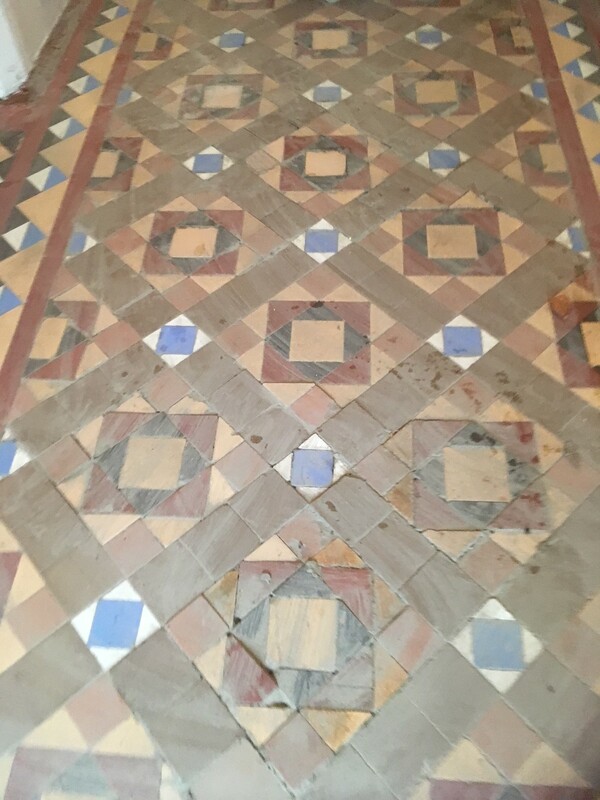 The floor was then thoroughly rinsed using a wet vacuum to remove the soil that was generated during the process. 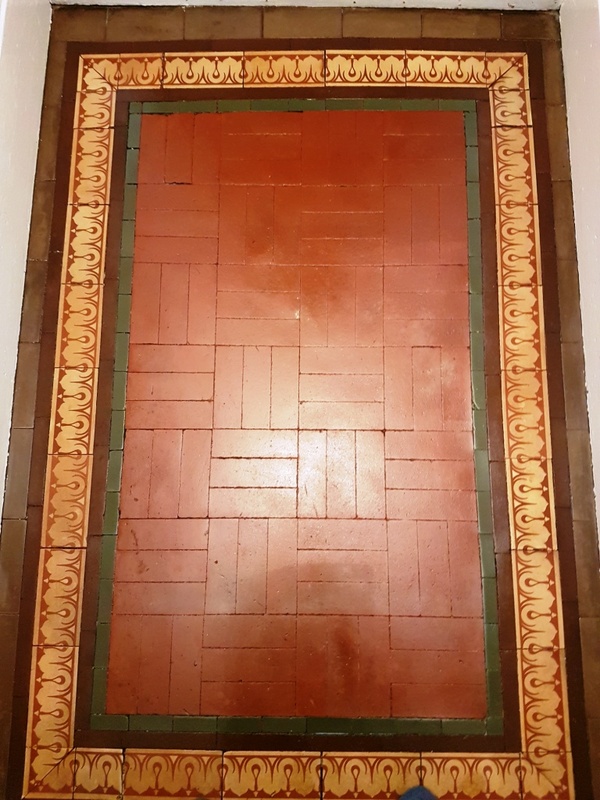 The next step was to give the tiles an acid rinse; now we don’t normally recommend the use of acids on tiles but in this case the product was only on the floor long enough to remove old grout smears and mineral deposits before being rinsed off. 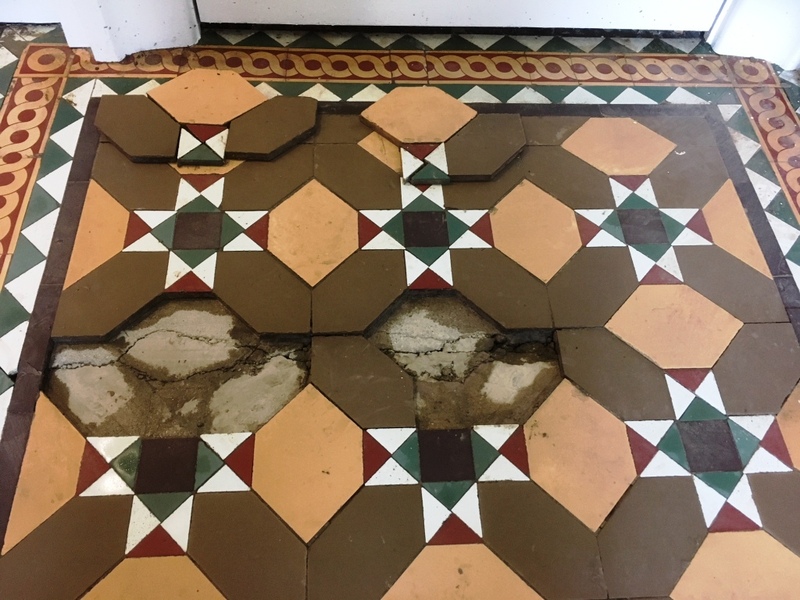 I used Tile Doctor Grout Clean-Up for this and it has the extra advantage of countering any alkaline salts which can hiding in the pores of the tile, this is very useful on old floors of this type with no damp proof course. 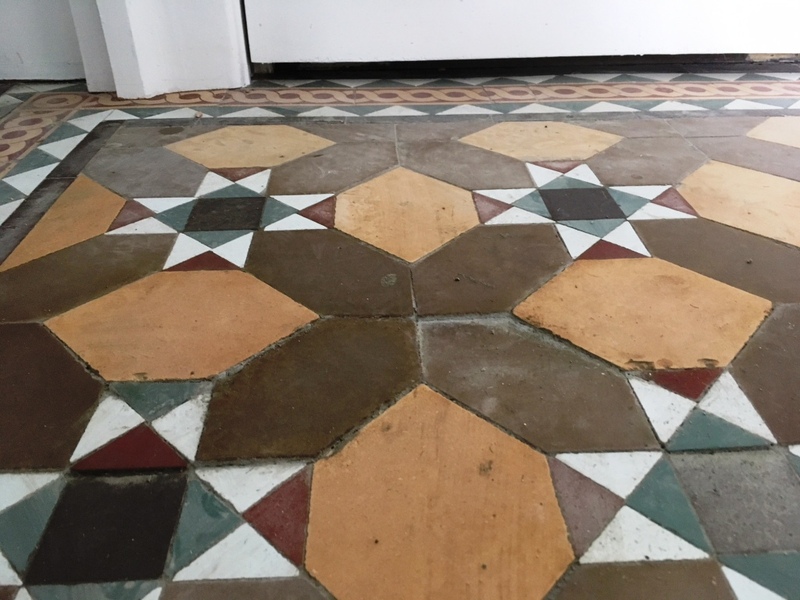 If left unaddressed the salts can rise through the tile as moisture evaporates leaving unsightly white salt stains on the floor. 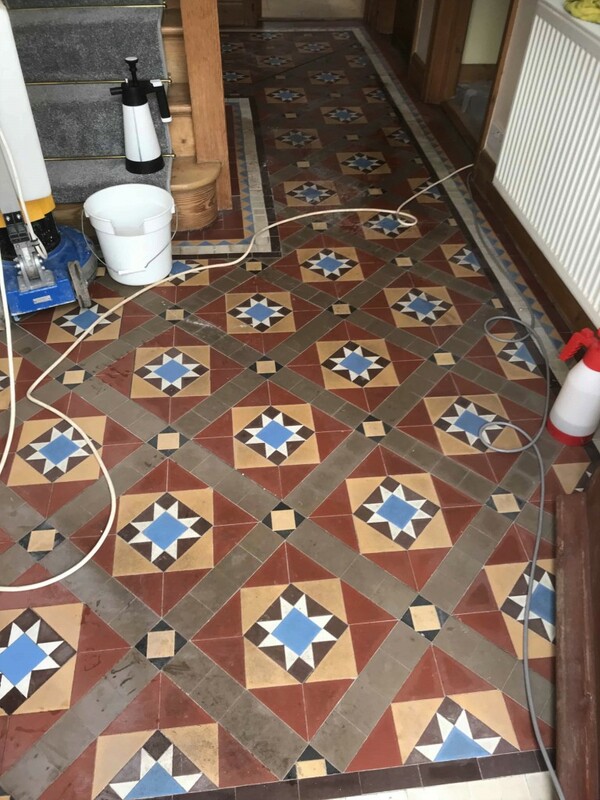 This process is known as efflorescence and can be tricky to remove later if not dealt with quickly. 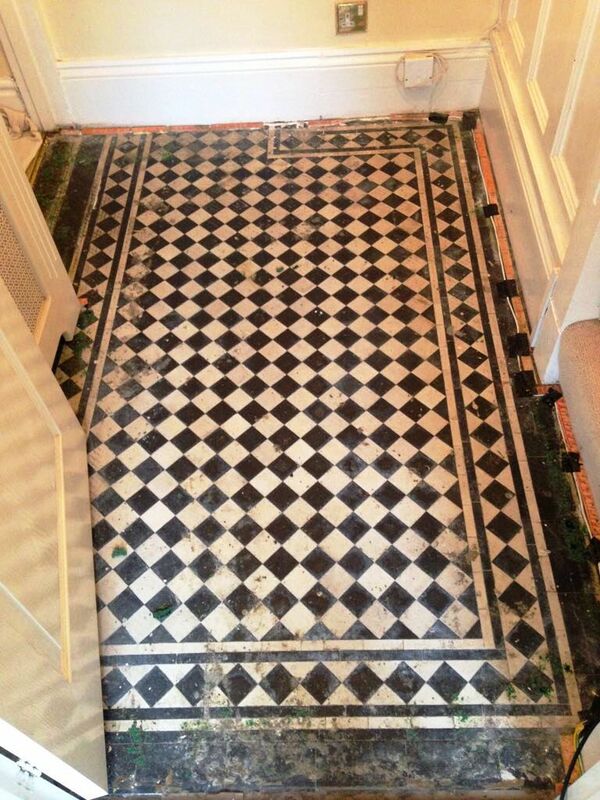 One done the floor was given a final rinse and then dried with the wet vacuum. 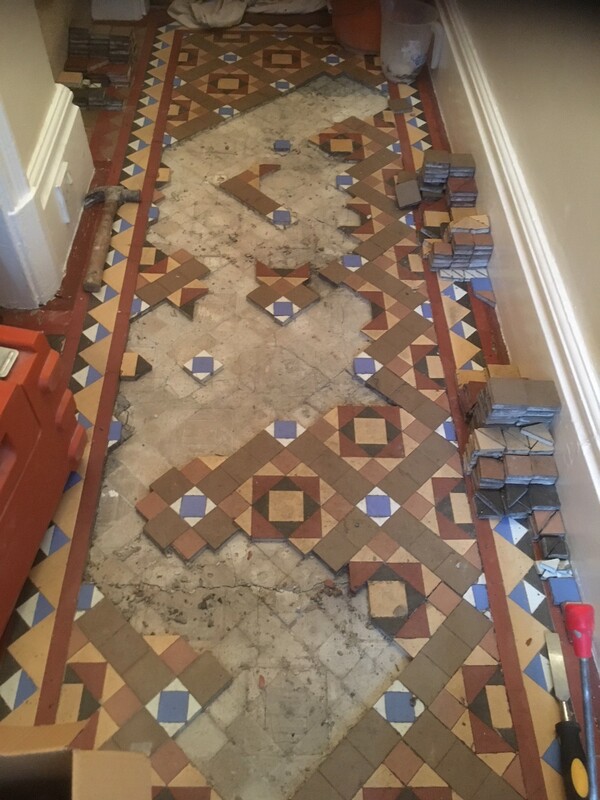 I then made a few small repairs to some loose tiles and then left for the evening to allow the floor the whole floor to dry off fully overnight. 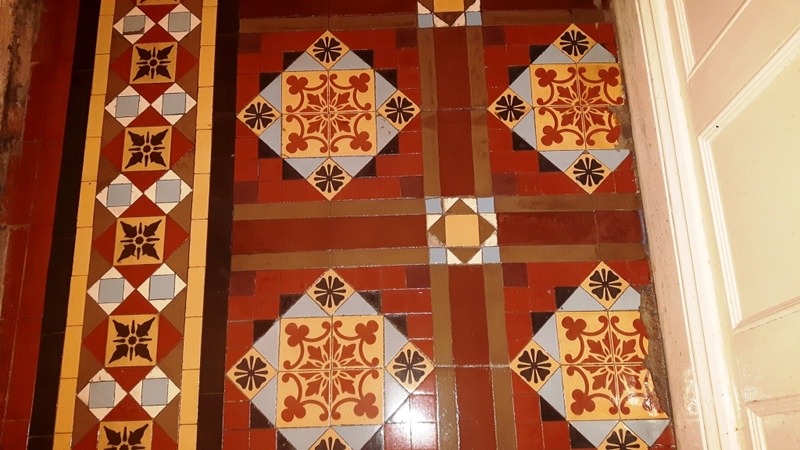 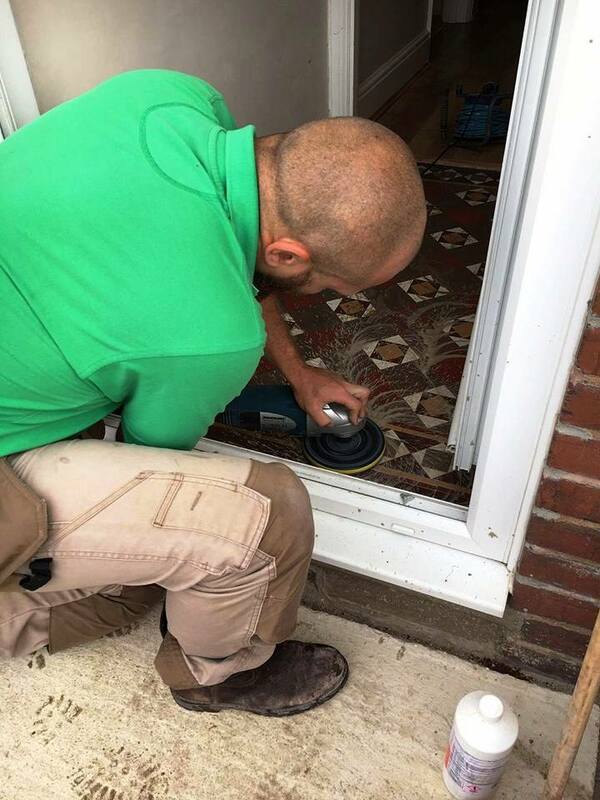 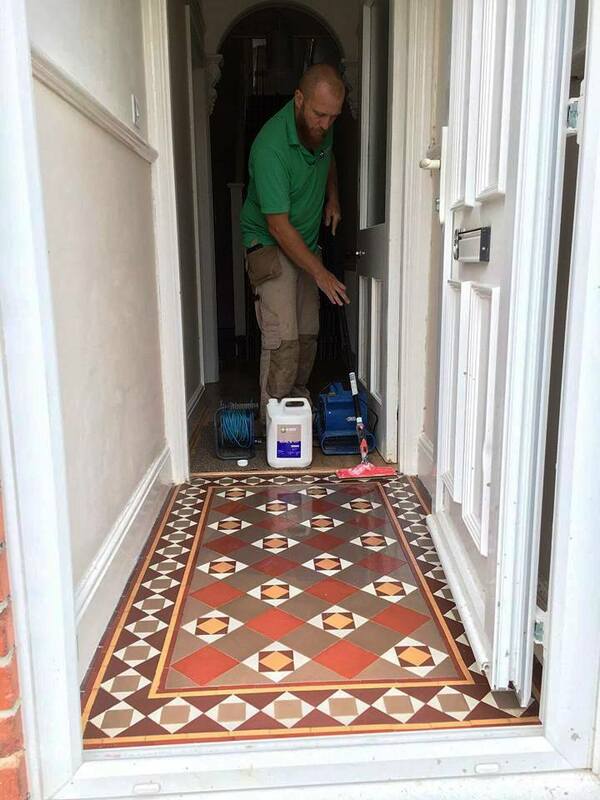 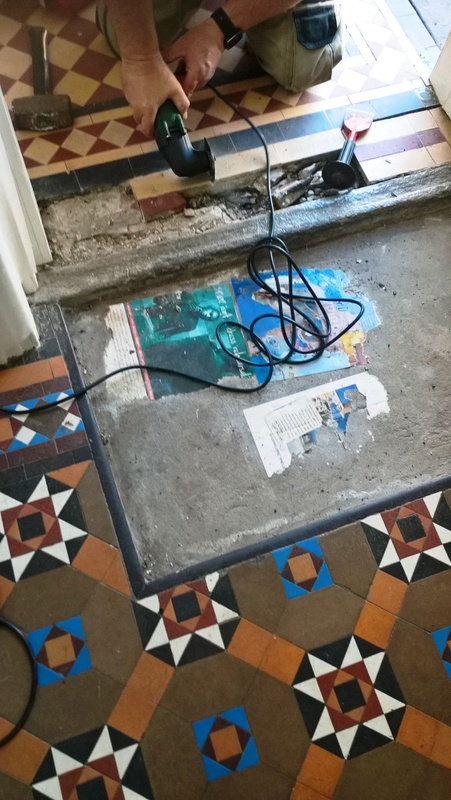 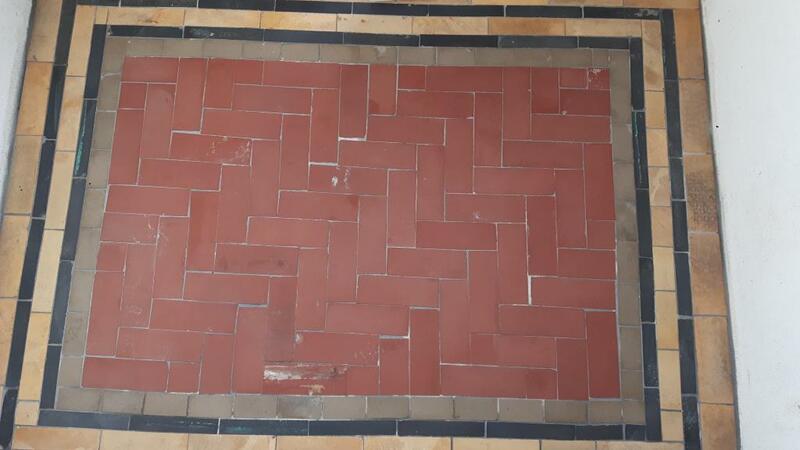 The following day I returned and after rechecking the moisture levels of both areas to ensure that they had adequately dried out I started work, applying a coat of Tile Doctor’s Colour Grow. 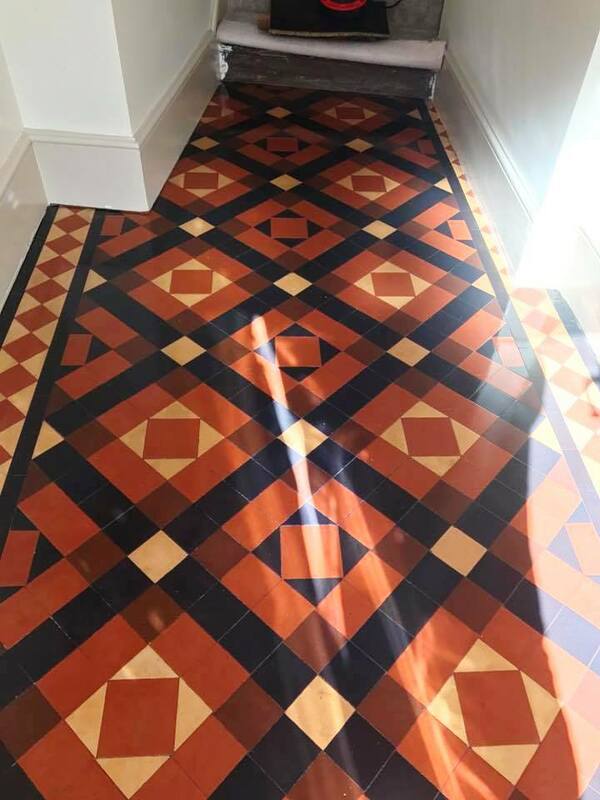 This is an impregnating sealer which picks out and enhances the natural colours of the tiles, not only bringing the whole floor to life but helping to disguise any damage the floor has suffered over the years. 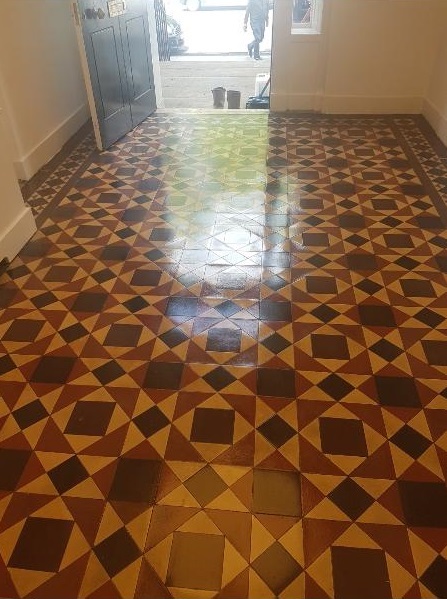 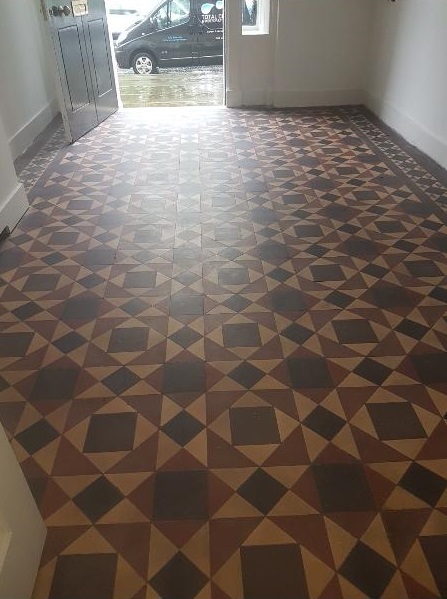 After this coat had dried sufficiently I applied four coats of Tile Doctor’s Seal and Go to finish off the floor and give it that ‘wow factor’. 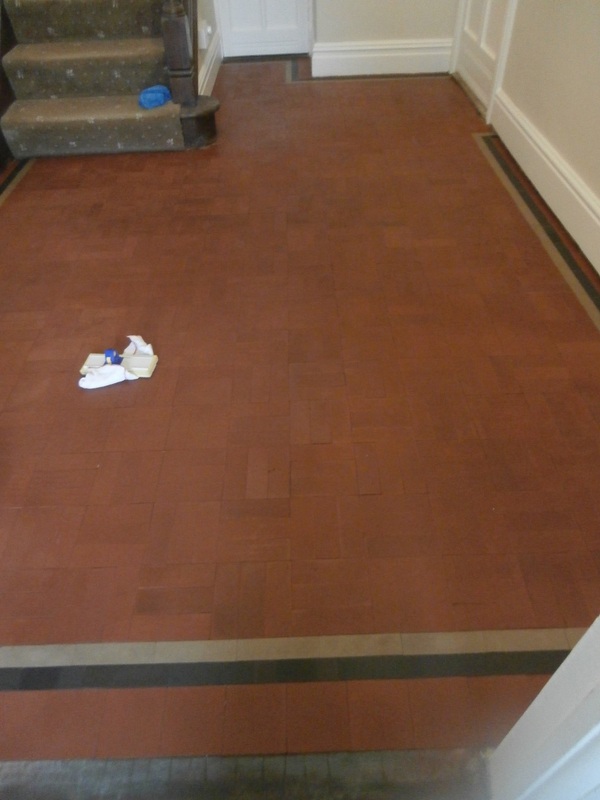 I left the client with some guidance on care and maintenance of the floor as well as a suitable bottle of cleaner. 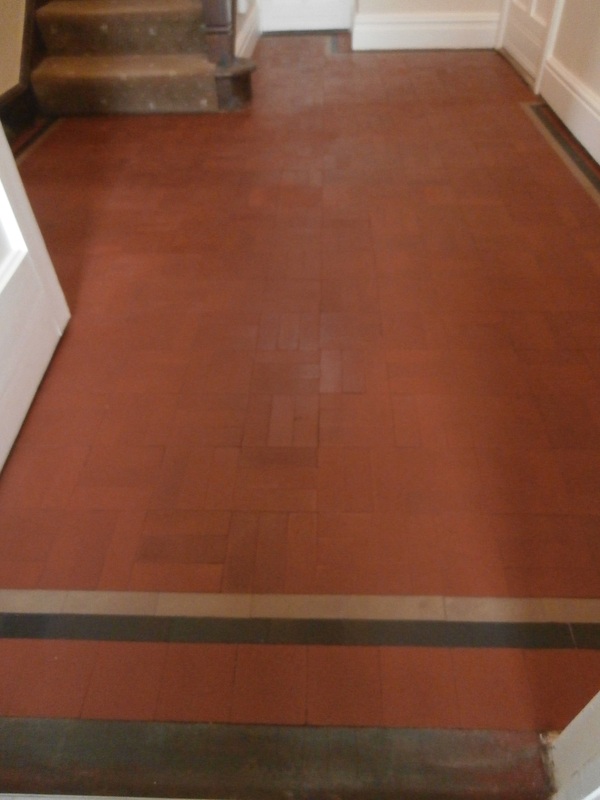 The client was very happy with the result and her sealed floor is now easier to maintain and keep clean. 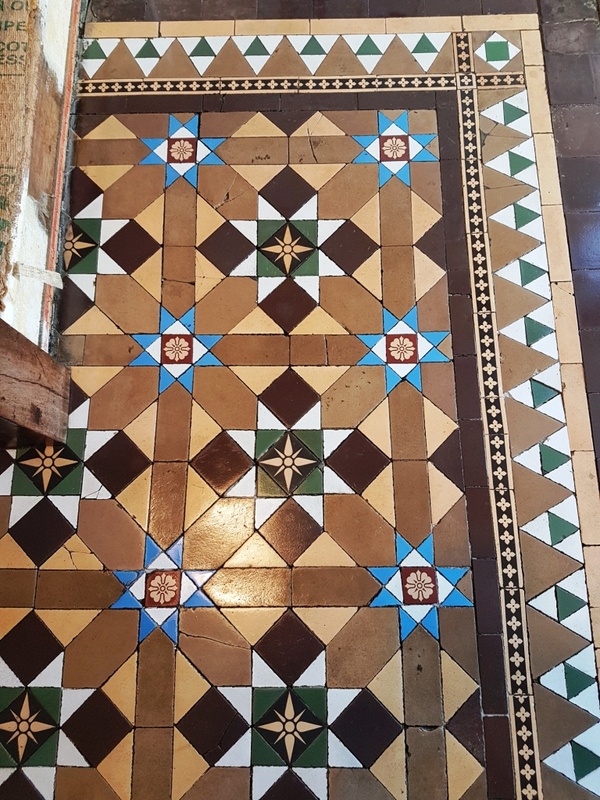 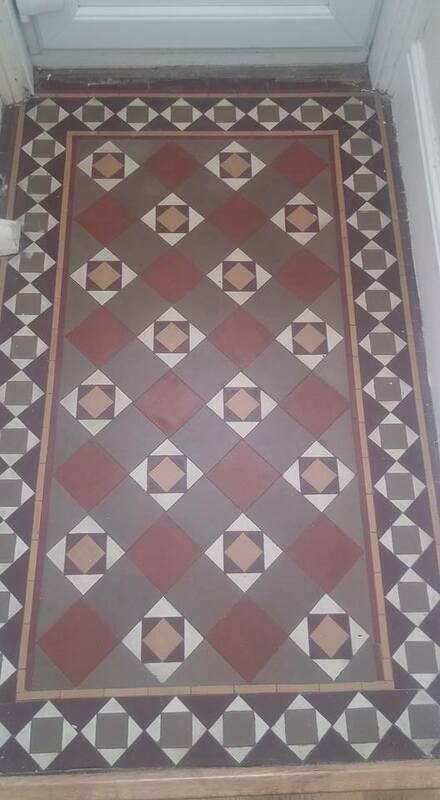 The Victorian tiles are now in keeping with the rest of the house.